As a strange year comes to an end, I'm reminded of how thankful I am to live in a city where the values of service to others, social justice, and fairness are widely held. 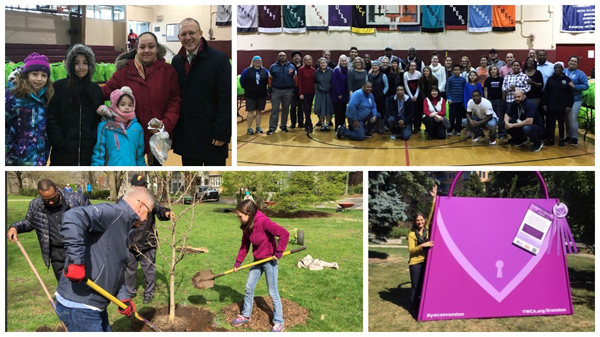 If there’s one thing I’ve confirmed in my first seven months as mayor, it’s that Evanston is a community that cares. You'll also find care in our classrooms. It's not only present in the hearts of our skilled educators–and we have many–but also in our students, whose excitement and enthusiasm for learning continues to amaze me. (Read about King Lab students' recent visit to the Morton Civic Center below). Sometimes caring can mean City Council meetings that last way past my bedtime, or impassioned emails from residents in my inbox, but it always means living in a city that's looking out for its future and the well-being of all who live and visit here. I'm incredibly grateful to be a part of that. Below, please read about a few other things I'm grateful for as we get ready to turn the page on 2017. Thank you for an amazing, challenging and inspiring first seven months as your mayor. I look forward to continuing to serve our beloved City in 2018. There was Good News in 2017! Below are a few of the things I'm grateful for as I reflect on the past year. The Holiday Food & Toy Drive was just one of the many ways Evanston gave back this year. From the annual "Clean Up, Evanston!" event in April, to the United Way/ Evanston Day of Caring in October, to the more than $500,000 raised by the YWCA Evanston/North Shore to end domestic violence, community members helped our city and each other through generous giving and countless hours of volunteering. As mentioned above, Evanston is a community that cares. From Howard to Central Streets, Evanston's dining scene continued to expand and impress, making headlines nationwide. Just this week, Thrillist ranked Evanston among "The Country's Best Suburbs for People Who Love Food." And who doesn't love food? 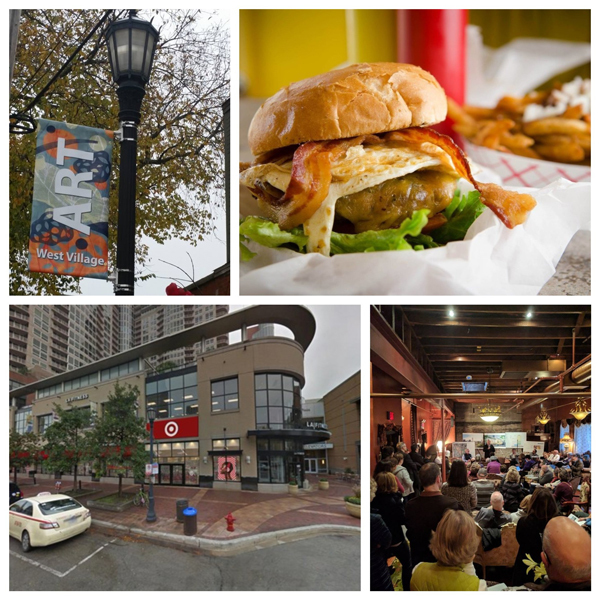 Nearly 60 new businesses have opened in our community so far in 2017, with more on the way, including Bourbon N' Brass Speakeasy, which we explored during our "Hagerty Huddle" in October, and Target, which announced it will be opening an express store in Sherman Plaza in March 2018. Did I mention Target's hiring? Incubators like Northwestern's The Garage and events like the City's Evanston Edge Startup Showcase have continued to support entrepreneurs and students as they work to turn their ideas into thriving businesses in our community. I'm proud to live in a fact-based community that doesn't back down from global challenges. 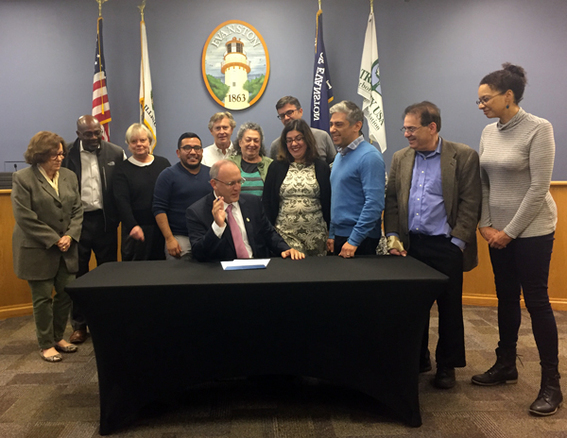 Evanston continued to make progress on climate issues in 2017 thanks to groups like our newly formed Climate Action and Resilience Plan (CARP) Working Group, and agreements like the Chicago Climate Charter, which I was proud to sign this month. I look forward to continued progress on climate issues in 2018. 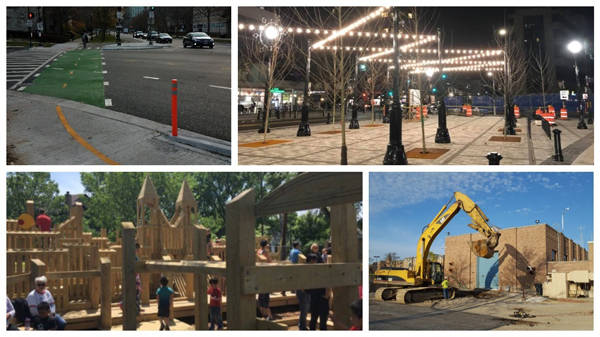 Despite budget challenges for our city and our state, Evanston continued to invest in our streets, utilities, parks and public spaces in 2017. A new protected bike lane was implemented on Chicago Avenue and Sheridan Road, along with major improvements for vehicles and pedestrians, Penny Park was rejuvenated, and a brand new public space was created in Fountain Square's south plaza. The north plaza is scheduled to be completed next year. In July, we celebrated the 15th anniversary of one of the City's most beautiful facilities, the Levy Senior Center. Located in James Park, the Levy Center offers a variety of programming and activities for seniors and community members of all ages, including health and wellness classes, arts and crafts, computer training, transportation to grocery shopping, discounted lunch options, and much more. In 2018, the Levy Center will host the 20th Annual Aging Well Conference for seniors, their families and caregivers. 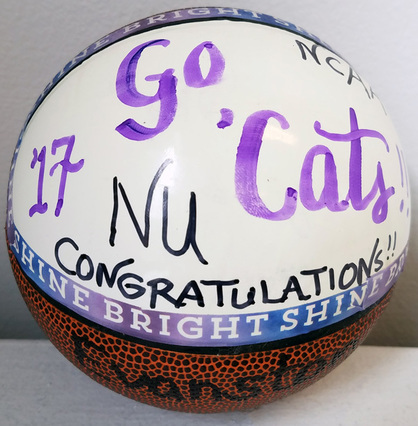 Evanston was the epicenter of March Madness this year as we cheered on the Wildcats men's basketball team to its first-ever NCAA Tournament bid and first NCAA Tournament victory. Although their magical run ended in the second round, we'll never forget the excitement of the 'Cats first dance (or that missed goaltending call). Not to be outdone, ETHS's basketball team, led by Nojel Eastern, made it to the State Supersectional. And don't forget about Northwestern Football, which went 9-3 this season and is headed to Nashville next week to face Kentucky in the Music City Bowl. Go 'Cats! In October, I was proud to sign an updated Welcoming City Ordinance, approved unanimously by our City Council, that provides that all residents and visitors be treated with respect, dignity and due process, regardless of their immigration status. 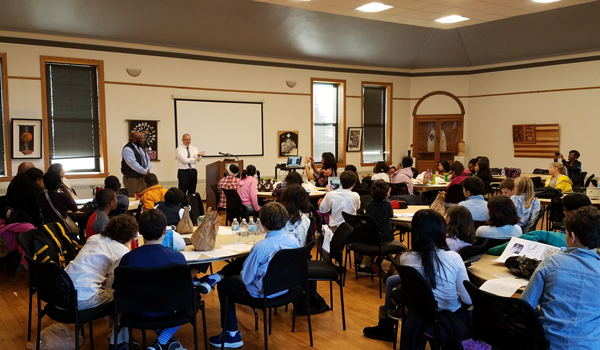 On November 30, more than 60 students from Martin Luther King Arts School visited the Morton Civic Center to share their water-based investigative projects with me and the City's public works director. To say we were impressed is an understatement. From tackling litter issues to improving water quality, these smart, talented and enthusiastic students brought new ideas and ambition to solving real-world problems. I'm grateful to live in a community that values and invests in education, and I can't wait to find out what ideas our students come up with in 2018. 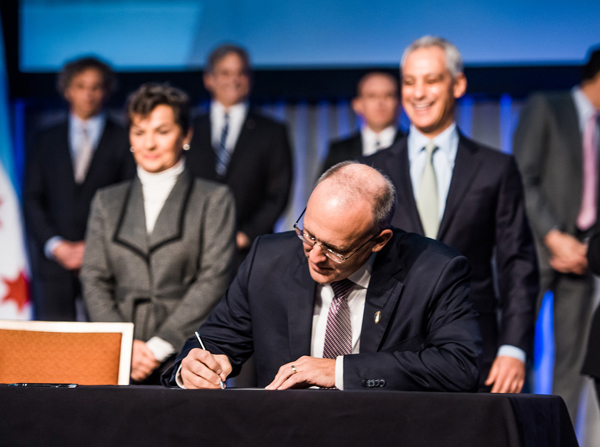 In November, I was proud to announce allocation of Northwestern's third $1 million contribution to the City's Good Neighbor Fund. In coordination with Northwestern President Morton Schapiro, I decided to allocate funds to a variety of improvements and services in the coming year. 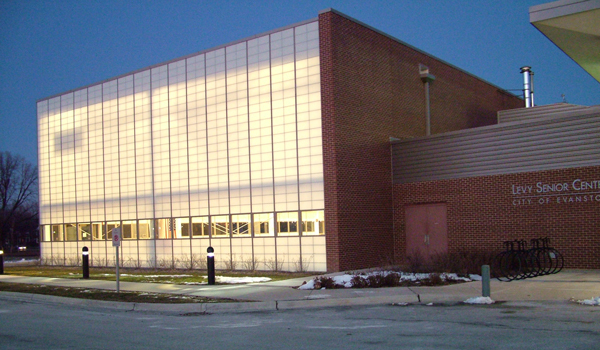 Altogether, 45 percent of this year's funding was allocated for infrastructure and facility improvements, such as interior renovations at the Fleetwood-Jourdain Community Center; 33 percent will support Evanston youth and social services, including youth job training initiatives and a full-time social worker at the Evanston Public Library; and 22 percent will support Evanston Fire Department paramedic services. 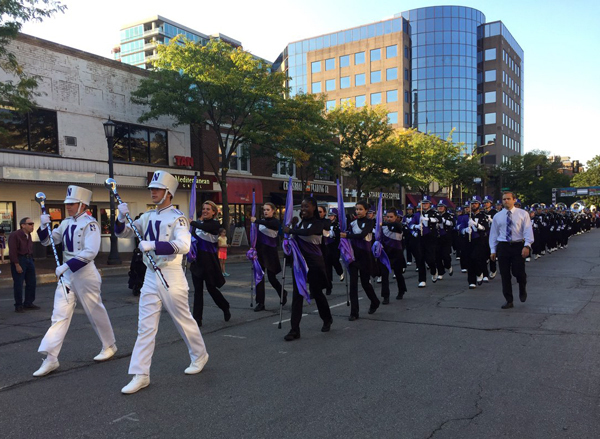 Thank you to Northwestern and President Schapiro for being good neighbors, and for continuing to support our community in the years to come. Thanks to the tremendous efforts of our Police Department, Fire Department, Youth and Young Adult Division, community outreach organizations and staff, Evanston was an even safer place to live in 2017. The number of people shot in our city dropped from 16 in 2016, to just three so far this year. And while zero is the ultimate goal, I'm proud that our city's comprehensive efforts paid dividends this year. 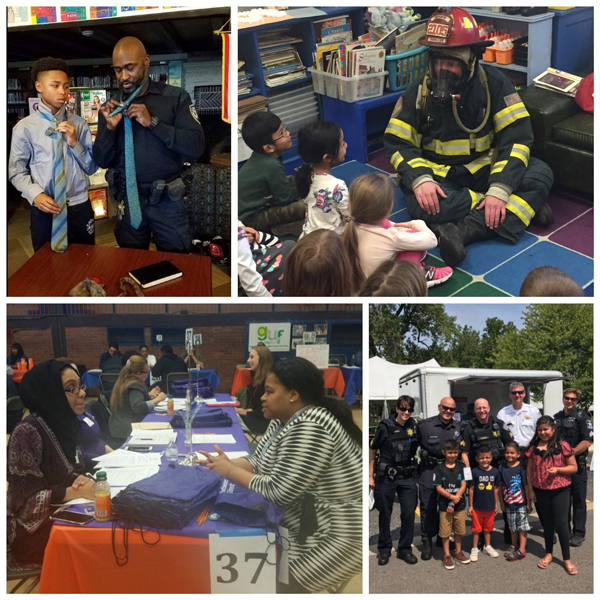 In 2018, we'll continue to focus on supporting our youth and young adults through communitywide initiatives like the Officer & Gentlemen Academy, the Mayor's Summer Youth Employment Program, workforce development initiatives and other partnerships that bring career training, mentoring, jobs and opportunities to our young people. Connect with me on Facebook to see my thoughts on the latest issues affecting our community, and to share your ideas, concerns and questions.